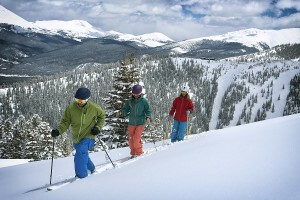 Winter Fun in Breckenridge: No Skis, No Snowboards, No Problem! We all have that friend (or, maybe a few of them). You know; the one who has absolutely no interest in visiting the mountains. If you’ve been lucky enough to experience the unbelievable beauty of the Rockies, you’re probably wondering how anyone could feel this way. Well, most of these summer-loving folks avoid winter at all costs because they don’t ski or ride, creating a self-fulfilling prophecy that they just don’t do snow. We are calling their bluff!! Contrary to popular belief, skiing and snowboarding aren’t the only ways to enjoy winter in Breckenridge; there’s actually a lot more snowy fun to be had here than most imagine. Although there are dozens of activities we could list, that would take all day. So, we’ve decided to give you the low-down on our four favorite winter activities in Breckenridge that don’t require a ski pass. Warning: by the time you’re done reading this, you might need to revise any existing plans for your next day off (and pretty much every winter weekend thereafter). The ultimate in winter fun parks, Good Times Adventures gets the obvious number one spot on our list! Located only a few miles from downtown Breckenridge, Good Times Adventures has been helping families and friends create life-long memories since 1986. Choose from over 100 state of the art snowmobiles to take out on a guided cruise through miles of scenic pathways that overlook the Ten Mile Range; you won’t be disappointed. If you’re looking for an unforgettable thrill, grab up to six friends and head out on a guided dog sledding trip that might just change your life. Zooming around six miles of breathtaking trails on a two-person sled or alongside in the passenger sled with a team of Siberian huskies leading you will be an experience that will stay with you forever. Make sure to tip your guide for the breathtaking journey! If you’re more interested in relaxing than getting your adrenaline pumping, don’t worry; you’re still in the perfect place to do so. Breckenridge is internationally known for its ski resort AND for the luxurious spa services offered throughout town, bringing us to the second spot on our list. Our favorites include: Soothe Spa at the Grand Lodge on Peak 7 and Refresh Spa at the Grand Timber Lodge, but we can’t wait to check out the upcoming Infinity Spa when the Grand Colorado on Peak 8 opens! Treat yourself to Colorado’s finest in lavish massages, facials or body treatments for a fraction of what most other five star resorts charge. Reinvigorate your mind and body with a day of lounging in the grotto and sauna as you sip on some cucumber water (or some champagne, if that’s more your style). 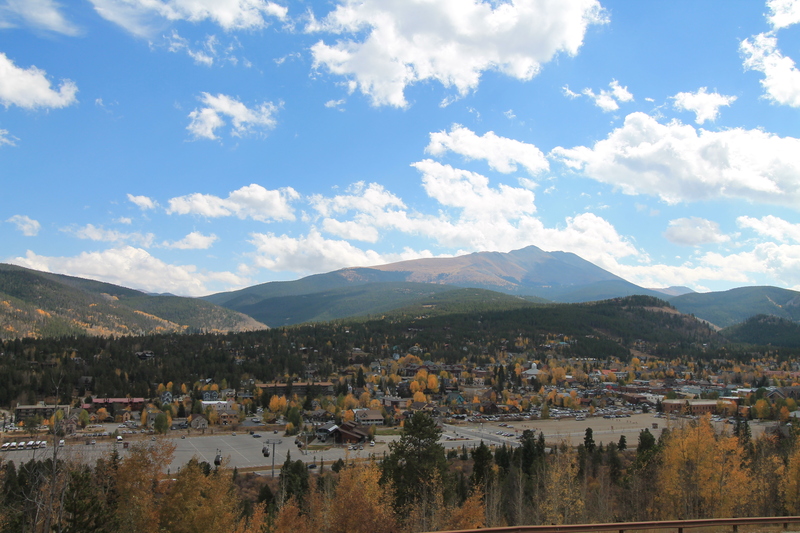 Not only is Breckenridge’s beauty second to none, but the preservation of the town’s origins makes it one of the most fun and historical settlements this side of the Mississippi, earning the Breckenridge Heritage Alliance a number three seat on our list. Visit the Welcome Center to get more information on this mining town’s beginnings and enjoy one of their many guided tours or scavenger hunts. While you’re at it, check out some of the intriguing museums, such as the Barney Ford Victorian Home and the Edwin Carter Discovery Center. If you’re bringing some little ones along, they will love the Mountaintop Children’s Museum. Horse-drawn sleigh and carriage rides throughout town and overlooking the Ten Mile Range offer unparalleled views and old-fashioned fun with custom add-ons like dinner and other options with Breckenridge Stables. Not only are these excursions a blast; educating yourself about Breckenridge will only help you appreciate the astounding amount of character that this town emanates. We think that the allure of downtown Breckenridge is a huge contributing factor to why it was named the most visited mountain resort town in North America. 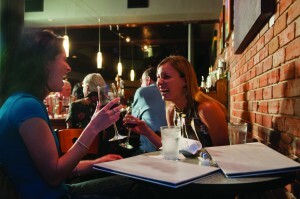 If you enjoy dining, drinking, gaming, having fun and meeting cool new people, you’re in luck. Savor some tasty burgers at the Breckenridge Brewery, where you can wet your pallet with some of the best brews in Summit County. After some libations, walk across the street and two blocks north into the Breckenridge Tasting Room for FREE samples of their delectable hand-crafted spirits. Once you’ve had your fill, continue north on Main Street to the appropriately-named Gold Pan Saloon, Breckenridge’s oldest bar that offers delicious food and beverage options for the whole family. Try your luck at a free drink by partaking in their 136 year old tradition of hooking the chain in the middle of the bar; it’s easier than it sounds, so don’t poke someone’s eye out! Now that we’ve got you in game-mode, backtrack one block to Downstairs at Eric’s, a local favorite. Here, you can enjoy a plethora of arcade games while watching your favorite sports teams; they have everything from Skeeball to Big Buck Hunter, along with over a dozen flat screens. Maybe you’ll even step away from the hoops to grab some of their famous pizza while the kids try their hand at Shootout. When your stash of quarters is depleted, you should stroll two blocks south to the recently remodeled Blue Stag. Warm up by the fire pit, munch on some wings and shrimp, view a fiery sunset on the back porch, chug a Moscow mule (or three) and cowboy up with a game of Stump; just keep your hands out of the hammer’s way! We could easily carry on, given that Main Street in Breckenridge boasts over 30 bars and eateries; but we want to leave some of the exploring to you! https://www.bestofbreck.com/wp-content/uploads/2015/10/Tuesday-Oct-27-2015.jpg 1500 1500 Karah Helena Kidger https://www.bestofbreck.com/wp-content/uploads/2015/08/logo-332x156.png Karah Helena Kidger2015-10-27 19:42:312015-10-27 19:46:55Winter Fun in Breckenridge: No Skis, No Snowboards, No Problem! 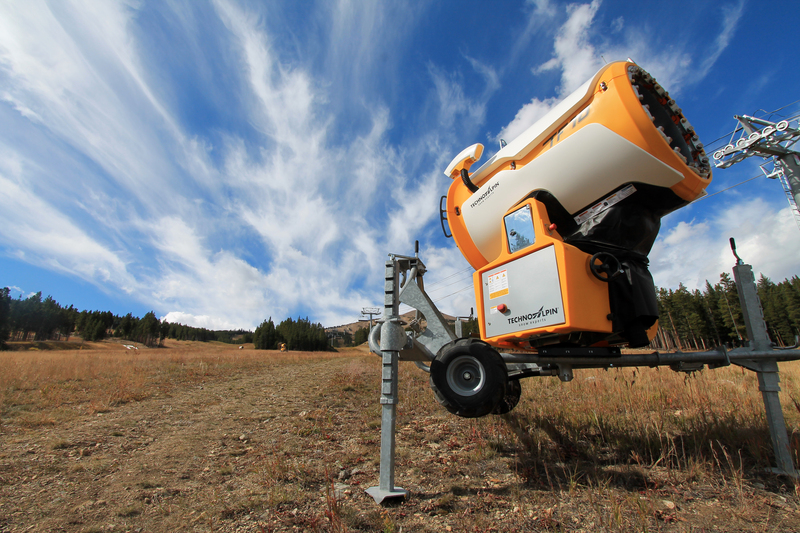 Well, it’s less than a month until the lifts at Breckenridge Ski Resort start turning. That gives you almost a full 4 weeks to get in ski shape! We’ve created a list of our seven favorite exercises, compiled from numerous different workouts. This routine is not only about getting your legs ready for the ski season, but it also focuses on strengthening and preparing stabilizer muscles, core strength and stretching. This creates an overall well-being that’ll keep you out on the hill longer and prevent injuries. Single-Leg Eccentric Squats – With or without weights, stand straight and hold your right leg out in front of you. Squat with your left leg while keeping your chest and eyes up. Count down 3 seconds and then pop back up. Go as low as you can. Do 15 reps on each side. Repeat if you need more. Wall sit with leg lifts – Stand up against a wall and slide your back down until you are at a 90 degree angle (or “sitting”). Lift your left leg up for 15 seconds and then switch to the right leg. Repeat switching legs every 15 seconds. Aim to continue this rotation without stopping for one minute. Go longer if you can, and keep track of your progress! Downhill walking – Eccentric Movement, or “negative movement” helps lengthen the muscles. Downhill walking assists with lengthening your quads, which you may feel when you are downhill skiing and lean back. Be mindful of knee or other leg injuries and never keep pushing if you feel any sort of pain. Grab a backpack and put some weight (20 or so pounds) in it and go out for a downhill hike. Start with a frequency of two to three times per week for 20 minutes each time, and increase as you become stronger. Yoga – For a complete mind, body and spirit work out (and to stretch those achy muscles from all the squats), try yoga. If you don’t want to spend the money on a local class, there are plenty of at-home videos for you to try. Spend 20 minutes two times per week practicing, and I can almost guarantee that you will notice a difference after just a few weeks. Stretching prior to shredding on the mountain can reap huge rewards. If you are able to get up 20 minutes earlier than usual before heading to the hill, warming up your body can help prevent injuries, often caused by throwing cold muscles into a workout. Planks – Although we know we need to strengthen our legs, there is something to be said about having a strong core to get you through those powder stashes. Start on the ground in a push-up position, lower down to your forearms and hold for 15 seconds. Push back up to your push-up (or plank) position. Repeat this for one minute (or as long as you can), while switching from plank to forearm-plank every 15 seconds. If you are feeling good, incorporate a side plank. Start in plank, move to forearm-plank and then open to the left or right while stacking your legs. If you are advanced, go ahead and place your free arm in the air and look up. Hold for 30 seconds and repeat on the other side. Front-to-Back Lunges – Stand in the middle of your mat, floor, field, or wherever you feel comfortable! Place your hands on your hips or reach them out in front of you to keep yourself stable. Lunge forward with your right leg and then, without putting your foot down, bring it to a back lunge. Repeat the process on your right leg for 10-12 reps. Switch legs. Repeat if desired. Agility Training – To gain agility, balance and explosive power, there are a few different ways you can practice building agility. If you are at home, place four X’s on the floor in a square. Start at the back of your square and jump forward with one foot to the right and hold. Now jump back. Now cross. Switch feet. Get the idea? This training encompasses it all. Want to get outside? Lace up your sneakers (preferably with proper tread) and go rock-hopping in a shallow stream. Or, get creative and pin your jumping points on a trail. Keep moving forward, left, right and back. Switch up your pace to get your heart rate up. So, there you have it; seven of the best exercises to get you ready for ski and snowboard season. Choose three or four of these to create your own 30 minute workout. Strive to get these done two to three times per week and increase to four or five times weekly as your body progresses. If you are getting a late start in the training season (like most of us), have no fear. Start tomorrow. Or the next day. Anything you can do prior to the first time you put on your ski or boarding boots on, will be beneficial. Train hard; ski hard. We hope to see you on the hill this winter! Do you have any other exercises that you swear by? Comment below! Use #BestofBreck for all your Breckenridge adventures and to be featured on our Instagram page! Halloween is finally upon us! We have everything from ghost tours, to haunted houses, to family fun trick or treating. Check out all these spooky activities and events to do while you’re up here! 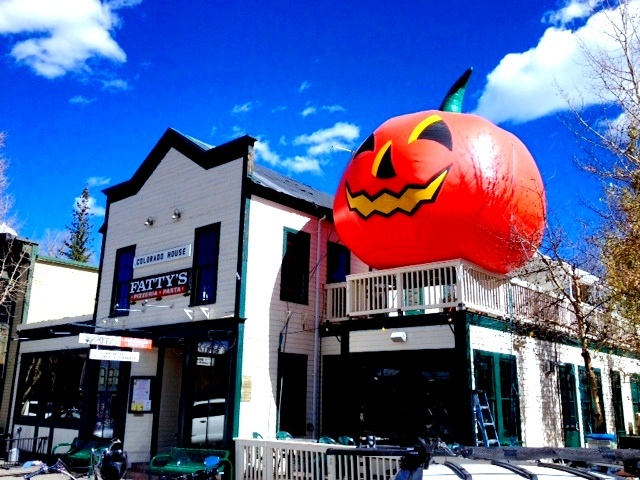 Click below for the best deals on lodging over the Halloween weekend! It’s that time of year again; time to get excited for fall’s departure and winter’s arrival in the mountains! Here in Breck, the electrifying itch for winter has most of us dusting off our skis and snowboards for the upcoming 2015/2016 season. Although the anticipation leading up to Colorado’s favorite time of year is getting every skier and snowboarder’s adrenaline pumping, lodging prices leave most visitors’ wallets outrageously empty. The staff at Breckenridge Discount Lodging doesn’t think that’s fair, so we’ve devised a solution for you. If you’re ready to start planning your next ski trip to one of the best resorts in the Rockies, make sure to book your lodging with Breckenridge Discount Lodging today; your bank account will thank you! If you are coming to enjoy a day on the slopes or the Peak 8 fun park, the best places to park for free are the Airport Road lot or the Satellite Lot. Both of these parking lots require you to take a bus ride to the gondola. However, the buses run very frequently (3 times an hour). Most importantly, you can bring all of your ski/summer gear! (No pets are allowed). Breckenridge is a fairly small town with a straightforward layout. You can walk anywhere on Main Street and get to shops, restaurants and local trails. Biking is easy through the flat downtown landscape and down fun paths like the Sawmill trail. However, if you are planning a vacation, make sure to book lodging at a resort with a shuttle that provides transportation throughout town. If you are coming from Denver International Airport, there are plenty of airport shuttle services that will get you here for a small fee. If you frequent Breckenridge, a parking pass will save you the time of trying to find a spot and eliminate any stress over having to move your car. The best investment you can make is to purchase a yearlong parking pass. Below is a list of different passes that can be obtained along with prices for each permit. If you’d rather take your chances on finding a free parking spot, just beware that the town of Breckenridge is strict on the 3-hour limit. Even if you are just 20 minutes over the time restriction, you’re at a risk of getting a ticket. On the bright side, the bus system is very efficient and will take you almost anywhere in town for free. Keep in mind that all lots are closed from 2 AM – 6 AM. But, if you’ve had a few too many drinks, don’t risk getting behind the wheel. Most bars in town will provide you with a “drunk pass” if you ask for one, just don’t abuse it! So, now that you know everything about parking in Breckenridge, get to town soon and enjoy some fun outside of your vehicle! T here are a ton of events going on up here in Breckenridge this weekend including the Craft Spirits Festival and Dia de los Muertos Celebration! With Halloween just around the corner, there are also ghost tours and mask making to get you in the Halloween spirit. 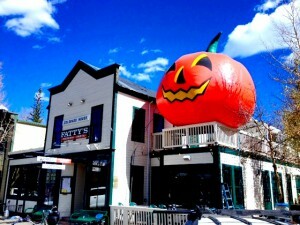 Head on up to Breckenridge and check out all these fun activities and events for yourself! Get away for a while, grab your friends or family and get on up here! Click below for the best deals on lodging!